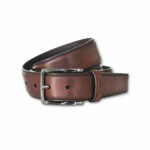 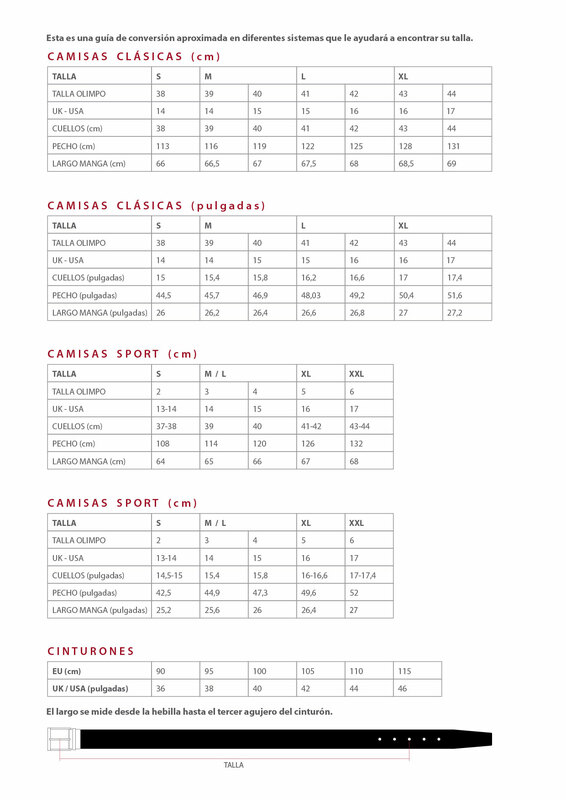 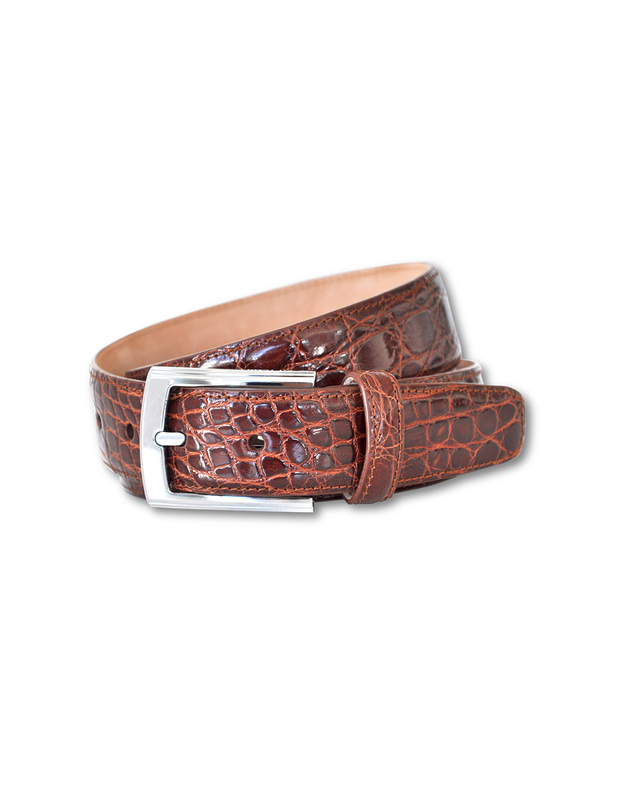 Calfskin leather belt in tan. 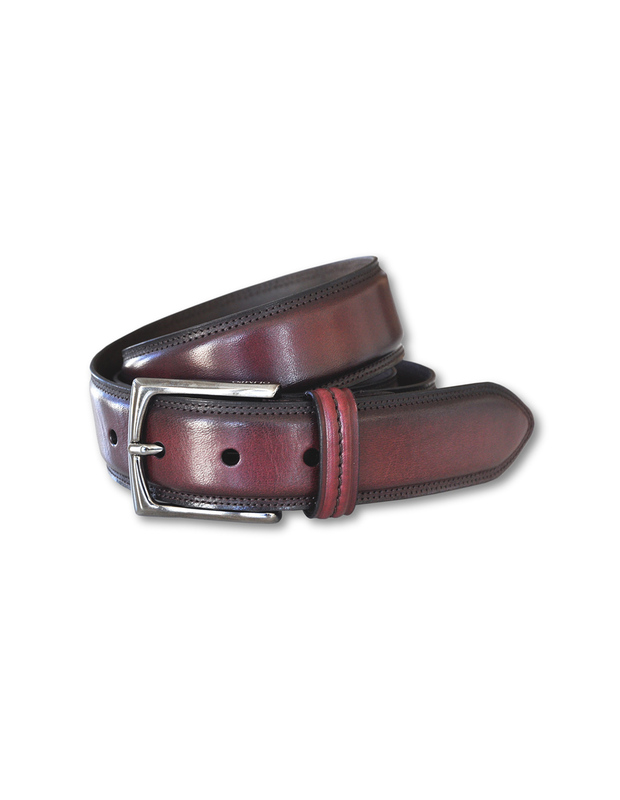 The leather has been hand polished and burnished with special waxes creating this distinctive color effect. 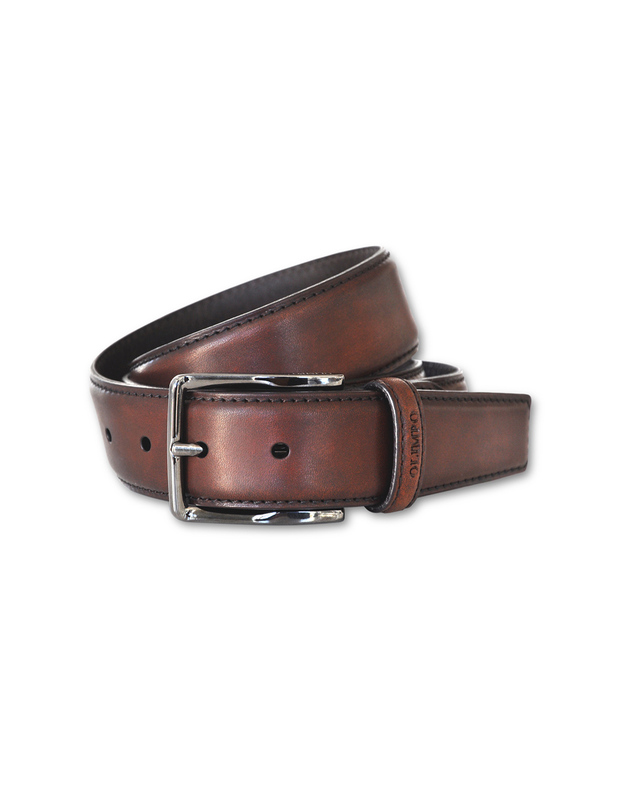 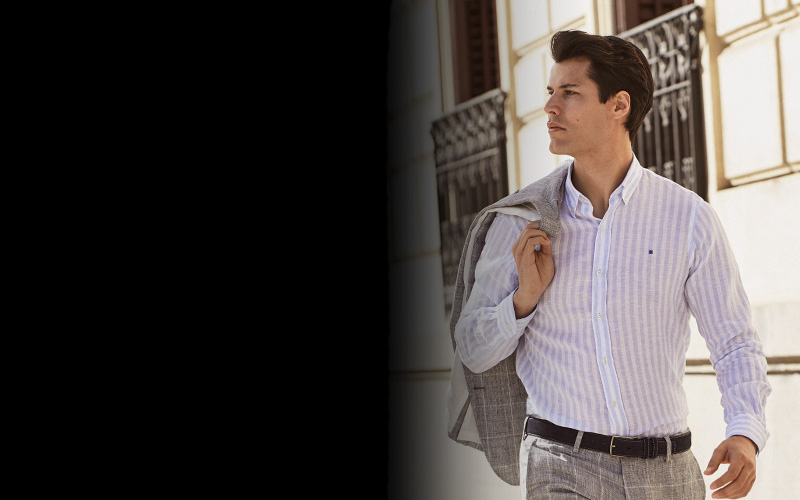 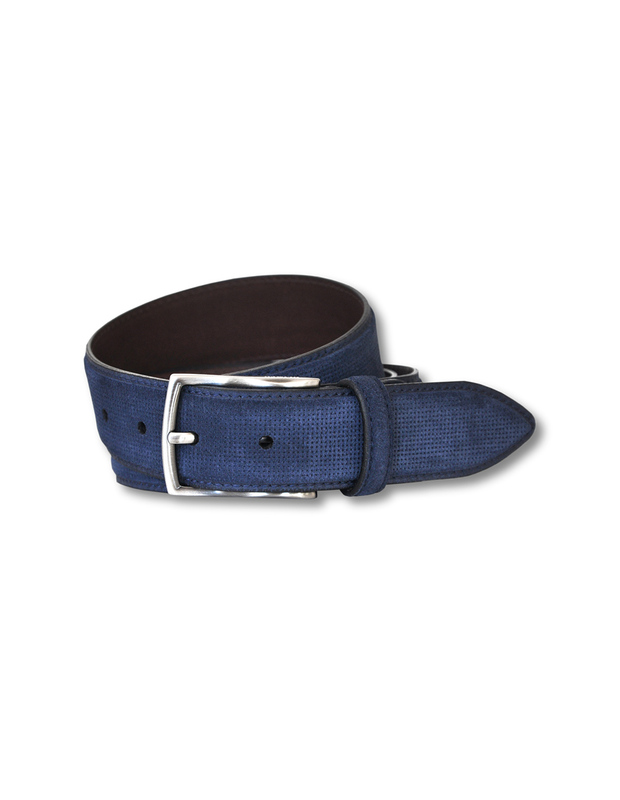 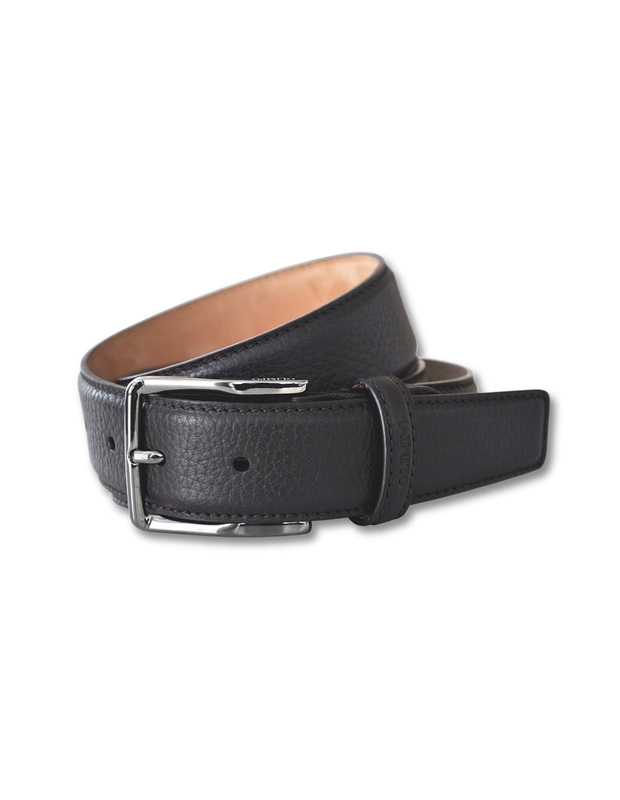 This leather belt owes its design to meticulous craftsmanship. 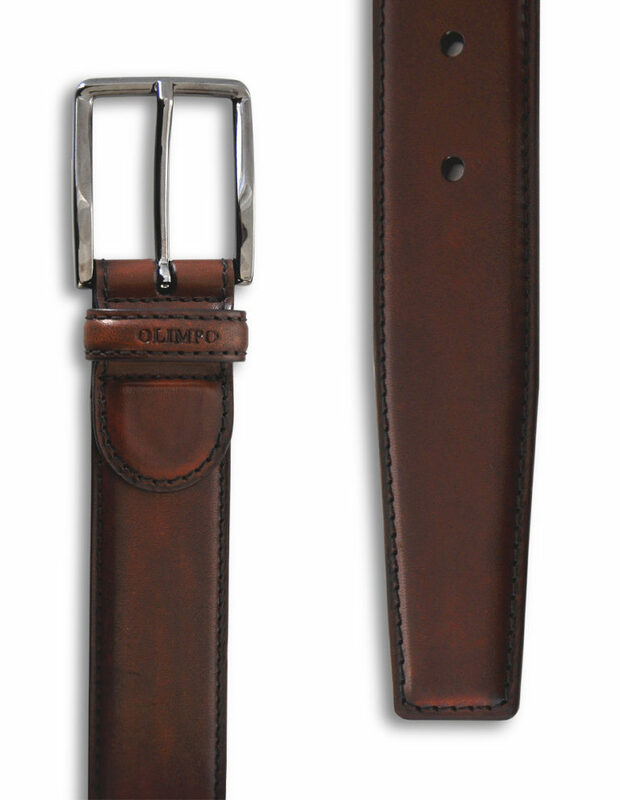 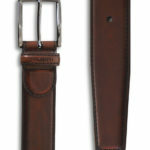 The darkened stitching on the strap and belt loop creates a vintage effect. 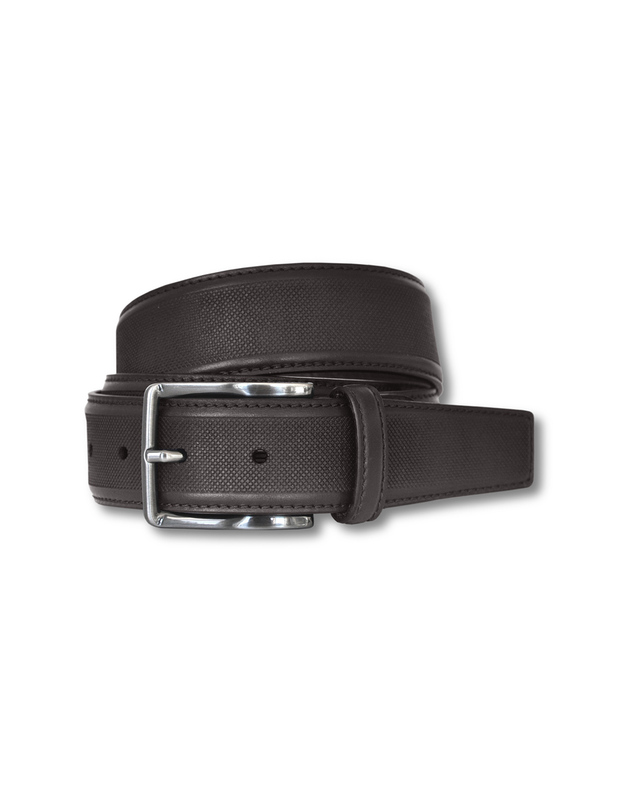 The buckle has a black nickel finish.